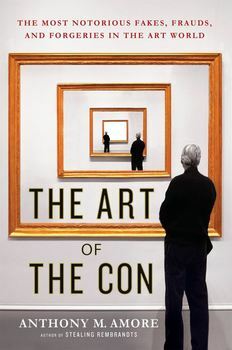 The Art of the Con tells the stories of some of history’s most notorious yet untold cons. They involve stolen art hidden for decades; elaborate ruses that involve the Nazis and allegedly plundered art; the theft of a conceptual prototype from a well-known artist by his assistant to be used later to create copies; the use of online and television auction sites to scam buyers out of millions; and other confidence scams incredible not only for their boldness but more so because they actually worked. Using interviews and newly released court documents, The Art of the Con will also take the reader into the investigations that led to the capture of the con men, who oftentimes return back to the world of crime. For some, it’s an irresistible urge because their innocent dupes all share something in common: they want to believe. The untold stories of some of history’s most notorious art cons—and the secret history of fakes, frauds, and forgeries in the art world.